Rebound copies of the March 1955, June 1955 & September 1954 issues of Manhunt. Details supplied by Alfred Jan.
188 · The Vicious Young · Pat Stadley · ss Manhunt Jun 1955; given as by Pat Stradley. Rebound copies of the May 1956, October 1955 & September 1954 issues of Manhunt. Details supplied by Rob Preston. 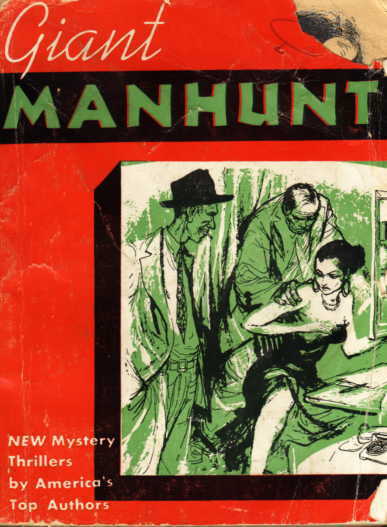 Rebound copies of the January 1956, August 1955 & September 1954 issues of Manhunt. Details supplied by Kenneth R. Johnson. 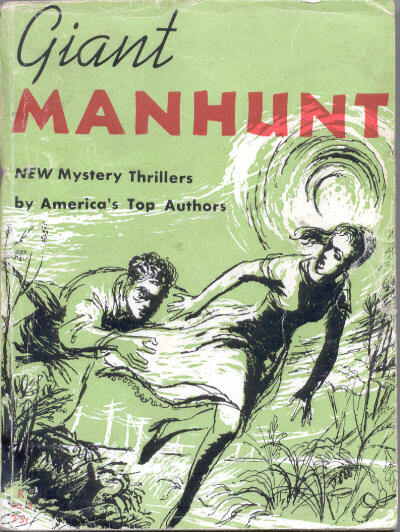 Rebound copies of the April 1956, March 1956 & September 1954 issues of Manhunt. Details supplied by Alfred Jan.
Two Hours to Midnight [Mike Shayne] · Brett Halliday · na Manhunt Mar 1956; later expanded as The Blonde Cried Murder. Rebound copies of the June 1956, October 1955 & September 1954 issues of Manhunt. Details supplied by Richard Moore.